omg the colors on that are AMAZING!! you look so cute!!! thanks of course, you're always soo sweet hun!! 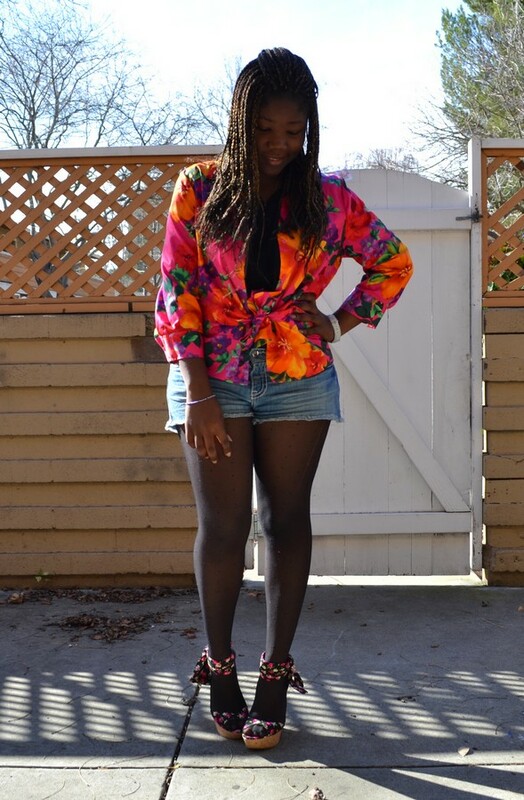 OMG I love this gorgeous floral top and it looks great on you! looking Good girl!! love the multi colours!..fab!! Merci beaucoup diane pour ce gentil commentaire , joli blog aussi , j'aime beaucoup ta chemise a fleurs et surtout la maniere a laquelle tu l'as associé au top ! i always love how you mix and match your look , beautiful and it has its own character, love it so much! lav yah always dear! omg, i love your blazer so much! i love the color and the print! so flower are inspiring you too these days?? loool!! I like thiss!!! I'm sorry sweetheart, I wish it could get warmer where you're at!! That vest is so fun! It's so tropical! Makes me want to go to the beach! Ta veste fleuris est trop belle ! !